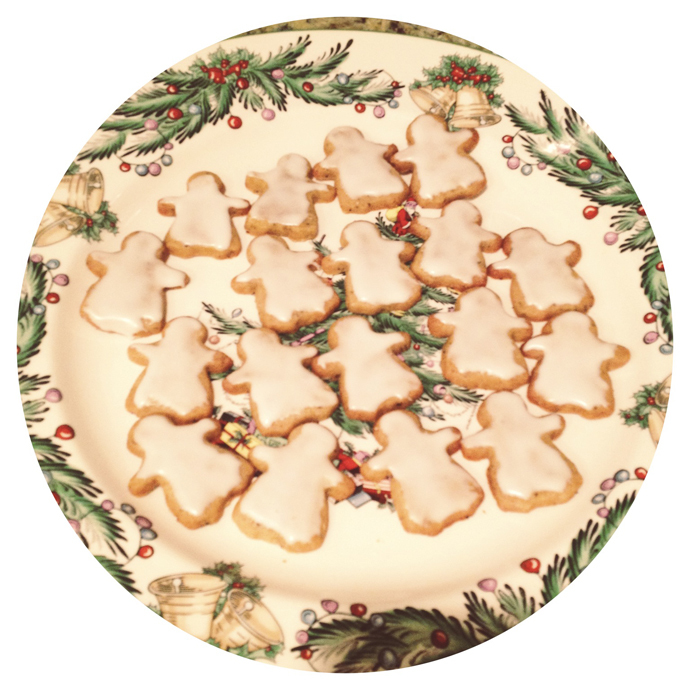 Leslie Jerkins Reads: Cookie Exchange & Holiday Cheer! 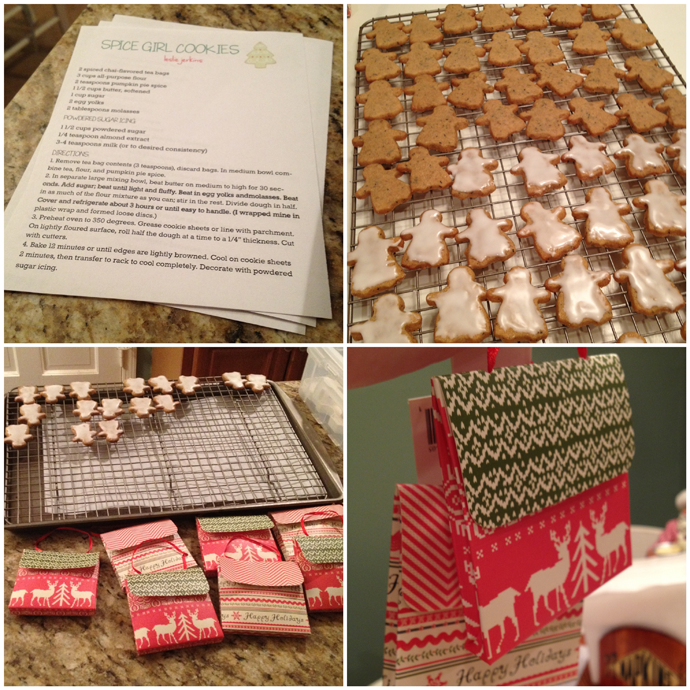 Cookie Exchange & Holiday Cheer! One of my favorite holiday traditions since become a Mrs. has been participating in the annual Cookie Exchange with the gals from our Sunday School class. It is a definite time commitment, as you are responsible for making a plate of cookies for tasting, and then packaging a take-home bag (including recipe!) for each participant. In this, my 7th year participating, we had 26 participants, and everyone had a wonderful time stuffing their bellies at Anne's lovely home! Luckily, my 27-week glucose test took place before all the cookie tasting occurred, but the irony of the two events being scheduled for the same day was not lost on me. 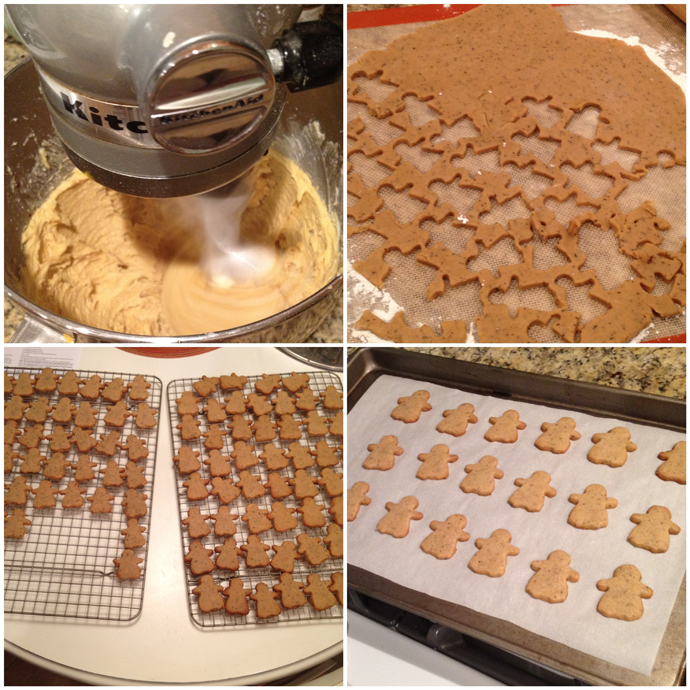 I chose Chai Spice Girls this year, from here, and even made a small test batch the week before to make sure (almond extract in the icing, not vanilla, should you decide to make them!). I picked up this tiny girl cut-out on amazon, since I knew that larger cookies would have to be cut in half at the actual event (it's hard to taste-test 26 cookies!). And, this way, I'd be able to get more cookies per batch, and thus include three per take-home bag (instead of the recommended two). I was shockingly organized this year, made my dough a night in advance, picked simple packaging to save time (these cute gift card envelopes from Michaels), and was in bed by 11 the night before (possibly a record). I didn't win anything this year (Sister won the big prize! Her tea cakes were delish! ), but it was so fun to be with friends and of course, eat cookies! 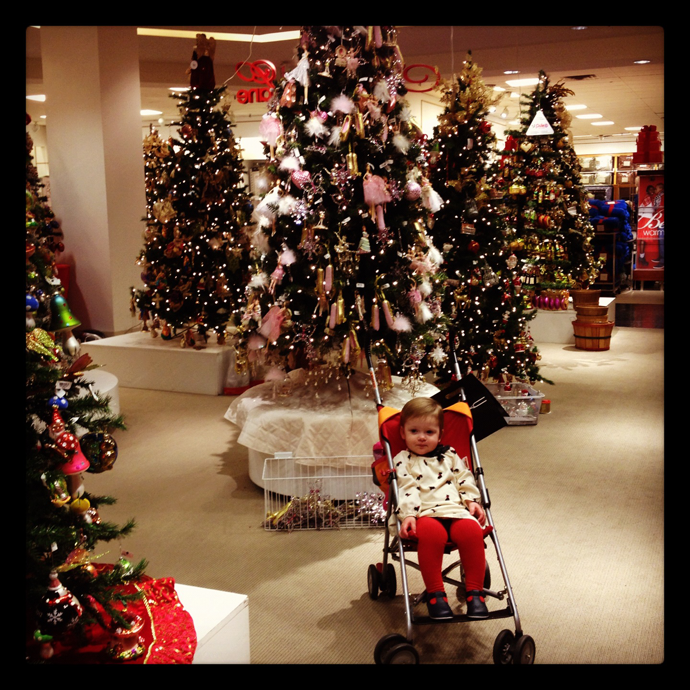 Juliette at Macy's with her favorite thing ("teeeeees!"). She asks to go see the "teeee" first thing every morning when she wakes up. 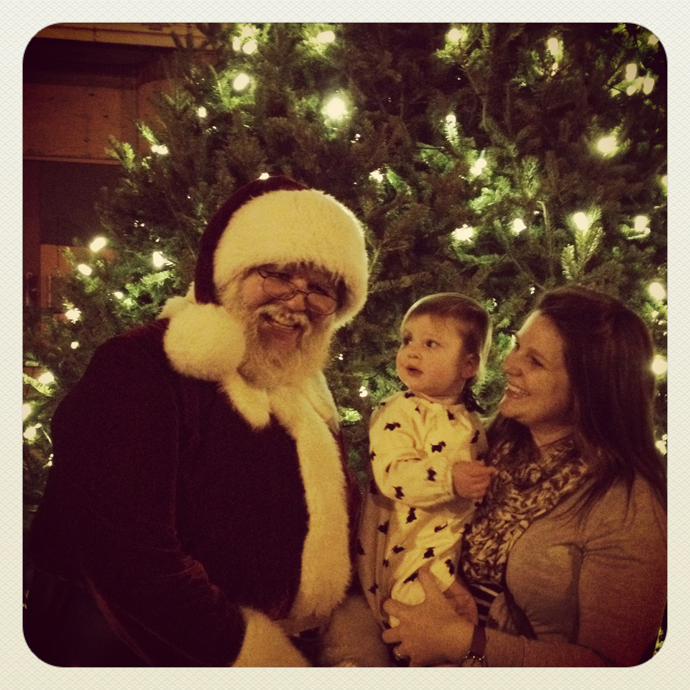 We saw Santa at Overton Square on Friday. She was not scared of him, but she didn't want to touch him, just look. Oh, and she can tell you what Santa says ("ho ho HO!"). 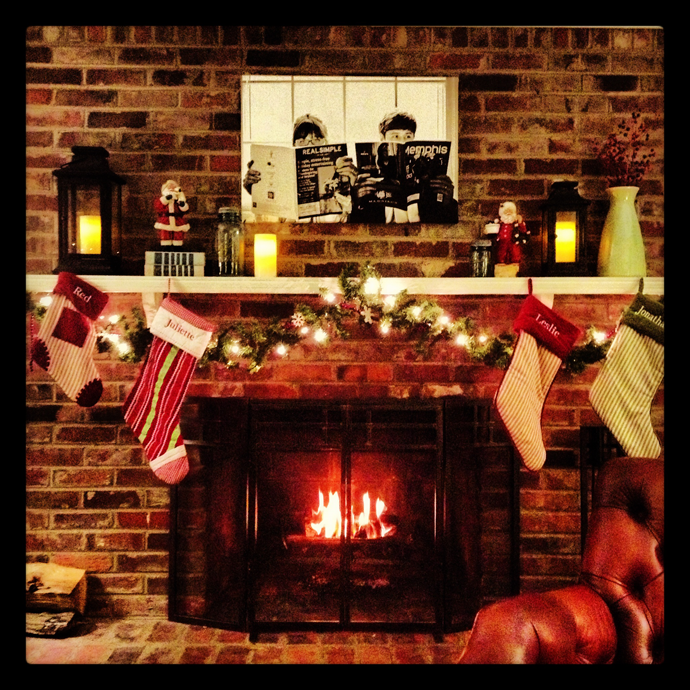 And lastly, here is our mantle this year. To the untrained eye, it may look like a normal mantle (heck, my decorations haven't really changed much at all in 18 months, save the Santas and stocking paraphernalia). BUT actually, this very fire you see pictured here is actually the first real fire we've had in this fireplace! We sold the mammoth wood-burning stove insert on Craigslist about 6 weeks ago, and had to get some pretty extensive chimney work done in order to have a non-hazardous, wood-burning fireplace. It's a pretty exciting site, in that case, eh? And next year, there will be one more stocking to hang! Hope you're enjoying the holidays in a non-stressful way, wherever you are.